The world we live in is not the world we would like it to be. Even on our happiest, most satisfying day, each of us could quickly rattle off a list of the things we would like to see change. During my time in the Southern Coalfields the number one issue on most people’s list would be to solve the drug problem. Although drug abuse is an epidemic all across our society, it has reached “Black Death” levels in southern West Virginia counties. Things aren’t as bad as people make them out to be–This is denial at its worst. People who fall into this category have strapped on the blinders, superglued them into place, and are squeezing their eyes shut. They are afraid to look the problem head-on, even when it hits close to home. Drug overdoses, drug arrests, crime… the things that tear families apart are treated as isolated events with no connection to the ongoing social emergency around them. It didn’t use to be this way–This attitude is fueled largely by feelings of helplessness and fear. The epidemic can’t be ignored, but rather than fully address it, people in this category simply shrug it off as evidence that the present generation is beyond hope. This category ignores the facts and whitewashes the past. Talkers–The “talkers” category is filled with people who acknowledge there is a problem. They have removed their blinders and have taken a long, hard look around and seen the devastation. But all they do is talk about it. And although talking about a problem is often the first step, we get nowhere closer to a solution with talk alone. Blamers–These are the people who would rather spend their time pointing fingers at everyone else rather than do anything to actually resolve the epidemic. They blame parents, schools, politicians, laws, the government, the President, television… any and everything that doesn’t actually involve any action on their part. We lack resources–These are people who want to do something about the epidemic, but are only able to see their limitations. In their defense, many of the folks who would like to fight the drug epidemic in Southern West Virginia do indeed have an uphill battle because they do not have ready access to the sorts of resources other areas might. But the “we lack resources” people are prone to throwing their hands up and surrendering early in the game. Doers–And the doers are the people who decide they will forge their own way. They see the problem. They may not know exactly how to fix it or where they will find the resources they need to achieve their goal… but they dig in, lunge forward, and figure it out as they go if need be. These are people who volunteer their time, who engage in professions of social service, who launch new programs, who tackle the legal system, and who are willing to do the impossible. This week, one of the Doers in Southern West Virginia proved to us that stepping out to change the world, even right in our own backyard, can be a dangerous undertaking. 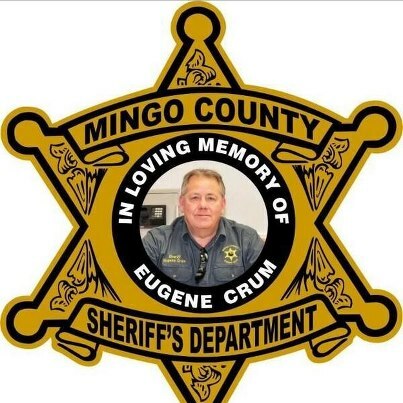 Mingo County Sheriff Eugene Crum was gunned down as he ate his lunch in his car. The murder was heartbreaking all across the state and the reverberations from his death will be felt for quite some time. Sheriff Crum was a Doer. He saw a problem in his community and he wanted to change it. As a law enforcement officer and former magistrate, he knew full-well the obstacles he would face in that battle. And yet, he never stopped working toward his goal of a better community. By being willing to live out loud in his own way, Sheriff Crum knew he was a target. People who were losing their lives to the vices of drugs would hate him. People who made money from the weaknesses of others by dealing drugs would hate him. People who watched loved ones get locked away as a part of his “Zero Tolerance” program would hate him. Sheriff Crum’s desire to make his community a better place would upset a lot of other people’s lives. I don’t know why he was shot. I don’t know if it was drug related. I don’t know if it was random. Only time will reveal the motives behind the suspect’s violent outburst. But one thing I do know, Sheriff Crum chose to live out loud. When Jesus told us to take up our cross and follow him, he wasn’t just turning a phrase. It was not a figure of speech. For the apostles, death upon a cross was a standard fear as crucifixion was the Roman Empire’s favorite method of execution. Every generation of follower since has had to fear horrific threats to their safety. From being impaled to being burned at the stake to being gunned down in broad day light. But evil has manifested itself in the world in a lot of different ways. No all of us will be crusaders against the drug epidemic as Sheriff Crum was… but if we are going to follow Christ, we will certainly need to be a light shining against the darkness. And the darkness never retreats willingly. Hatred, violence, bigotry, injustice, war, poverty, substance abuse… these are just a few examples of the way that the darkness tries to blot out the light. And unless we are willing to be Doers, to be the sort of people who pick up that cross and trudge forward against all odds, the light in our lives will be blotted out. Sheriff Crum lived a life fighting against the dark, and although his flesh-and-blood body was broken in the end, his light continues to shine. And although most of us will not face the same threats he did, we will all need to be equally as strong and resolute in letting the light of Christ shine through us. May God bless Sheriff Crum and pour out His grace upon Crum’s family. May God have mercy on his murderer’s soul and may his murderer, by the grace of God, realize his need for salvation. And may we all be filled with the power of the Holy Spirit so that we might find the courage and strength to live out loud for our Lord and our God. Amen.